Hanoi (VNA) – Prime Minister Nguyen Xuan Phuc left Hanoi on January 22 night for Davos, Switzerland to attend the annual conference of the World Economic Forum (WEF), at the invitation of WEF Founder and Executive Chairman Prof. Klaus Schwab. The PM is accompanied by Minister-head of the Government Office Mai Tien Dung, Minister of Industry and Trade Tran Tuan Anh, Minister of Natural Resources and Environment Tran Hong Ha, and Minister of Information and Communications Nguyen Manh Hung, among others. With the theme “Globalization 4.0: Shaping a Global Architecture in the Age of the Fourth Industrial Revolution,” WEF Davos 2019 is expected to attract around 3,000 delegates, including heads of State and Government leaders of 50 countries. The working agenda covers more than 400 working sessions of leaders of Governments, international organisations and enterprises and leading experts in numerous fields and young people from around the world. Delegates are expected to exchange views on how to intensify cooperation and dialogue to address geopolitical issues, boost the reform of global institutional frameworks to get adapted to new political, and socio-economic situations, and form new institutional frameworks and regulations to foster global collaboration in different aspects. They will also assess impact of the fourth Industrial Revolution on industries and labour and employment-related changes, and encourage the systems thinking to improve the management of the ecosystem. Prime Minister Nguyen Xuan Phuc’s presence at WEF Davos 2019 from January 22-25 will be a chance to propagate the country’s socio-economic development and international integration achievements in 2018. 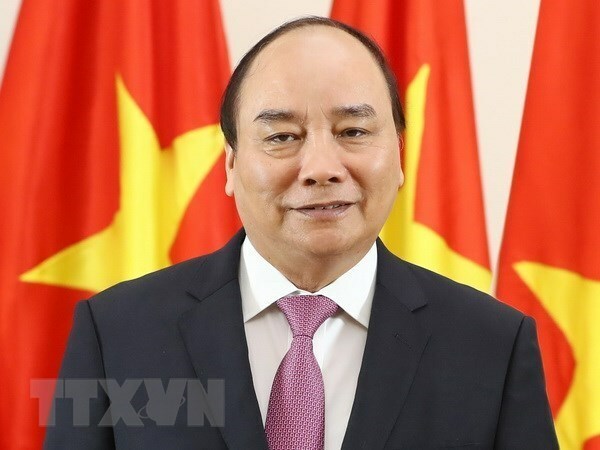 His attendance at this important event will also deliver Vietnam’s major policies, orientation and measures on socio-economic development in 2019, thus encouraging leading partners and groups to continue intensifying cooperation with Vietnam, and consolidating a favourable international environment for the implementation of the country’s socio-economic development targets this year. Within the framework of the event, Vietnam and WEF plan to sign a cooperation agreement on building an Industry 4.0 Centre in Vietnam and a letter of intent on collaboration in plastic waste treatment.